Whippoorwill has been a labor of love for owner Edith Carter, who saw the importance in historic buildings and began saving them long ago. Edith is also an artist and has repurposed an old smokehouse, built in the late 1700″s, for use as a gallery. Visitors will notice that much of the art displayed tells the story of local legend Tom Dula (Tom Dooley), a young man who hung for crimes he committed…or may have committed. This is the real mystery. 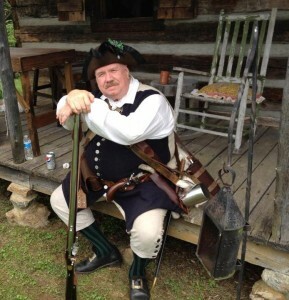 There is also a cabin museum especially for Tom Dula. 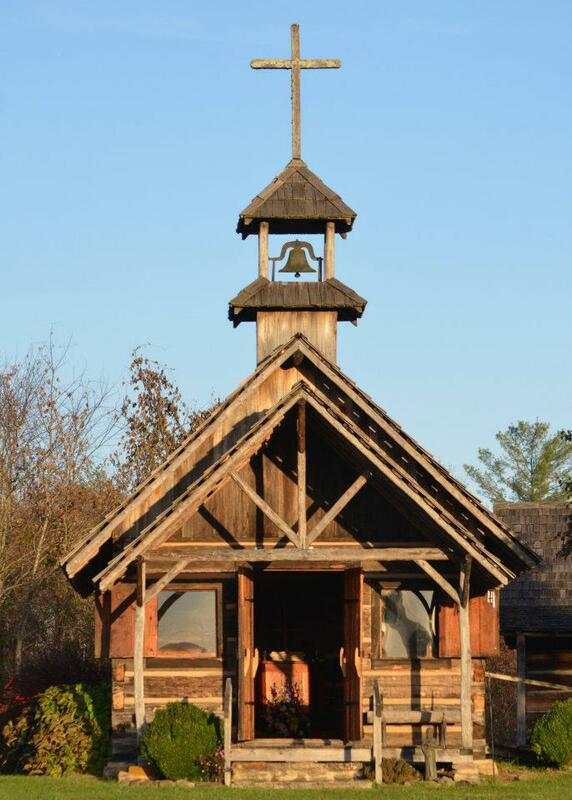 Those who tour the village will get to hear the legend of Tom Dula, visit the Daniel Boone Cabin, a blacksmith shop, a schoolhouse built in 1880, the lovely Chapel of Peace (a popular location for weddings) and many more structures. Most importantly, visitors will learn about life and the way things once were. 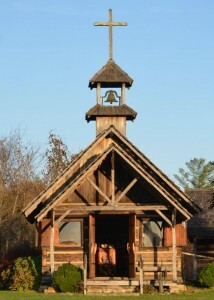 The village is open to the public Saturday and Sunday, 3-5 pm and during the week by appointment. The Village is closed January through March. I would recommend making a special trip to visit on Daniel Boone Day (the second Saturday in May) or for the Christmas Open House in December. Call (336) 973-3237 for an appointment. Whippoorwill is not hard to get to but can be easy to miss if you aren”t looking for the sign. Whippoorwill will be on your left. Look for a gravel drive and small brown sign. The village is free to enter but we strongly recommend making a donation. You will want to bring some cash for any special finds you may come across in the old country store. The store has old fashioned toys, canned goods and Items made by local craftsmen. I am a big fan of the bamboo pickles and am always able to find wonderful gifts for friends and family! Food! Whippoorwill does have some tasty goodies in the old country store but it is not really enough to make a picnic out of and Whippoorwill is the perfect place to enjoy a picnic. Anything that you would take for a day at the park is just the sort of thing that you may want to bring here. The Hampton Inn of Wilkesboro is located just off of 268 and is the closest hotel to Whippoorwill. You will even see the hotel to your left as you drive to the village. You may also consider the Holiday Inn Express, located just off of Hwy 421. If you are feeling really adventurous you may even consider camping at W. Kerr Scott Dam and Reservoir. You will drive past the lake on your right on while on 268 traveling towards Whippoorwill. If you would like to hold a wedding, or any other event at Whippoorwill Village, you will simply need to book ahead of time, pay a small rental fee, respect the property and have a jolly good time! Whippoorwill Village has grown even since this video was made. Don”t miss your chance to tour this treasure of a place!